On Feb. 14, Air Transat invited Canadians to join the conversation on social media to support its Small Change, Big Hearts program,a and following this initiative, the carrier will contribute $10,000 to its program for the benefit of SOS Children’s Villages and the Children’s Wish Foundation. Founded in 1949, SOS Children’s Villages is the largest charitable organization in the world working with orphaned and abandoned children. Present in 134 countries and helping more than 75,000 children, it offers children safe and nurturing homes and supports disadvantaged families with a host of strengthening programs. Founded in 1984, the Children’s Wish Foundation is a Canadian charity that grants wishes to children diagnosed with life-threatening illnesses, helping them, their families and their communities. 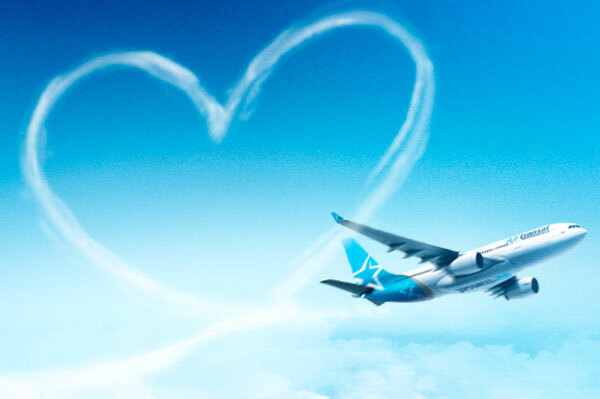 Set up in 2004, Air Transat’s Small Change, Big Hearts program aims to collect small change, in any currency, from passengers aboard its aircraft, to donate to SOS Children’s Villages and the Children’s Wish Foundation, two charities dedicated to the well-being of children. And since last fall, clients who purchase a Transat package can also contribute to Small Change, Big Hearts by donating $1, $2 or $5 when booking online, by phone or through a travel agent. Since the creation of this program in 2004, Transat has donated more than $6 million to both charities.